Optronic’s Svante Töyrä has experience that is hard to beat within fiber optics. It includes travelling around the world working on fiber optics for Ericsson. 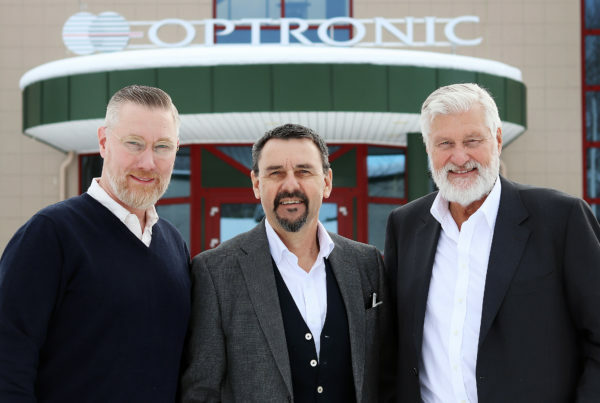 As a first generation fiber optician he has seen the industry develop, and to this day he is active in the work of standardising optical passive components as a consultant at Optronic? “Having a specialist area such as fiber optics makes you keen to stay on in that world”, says Svante. 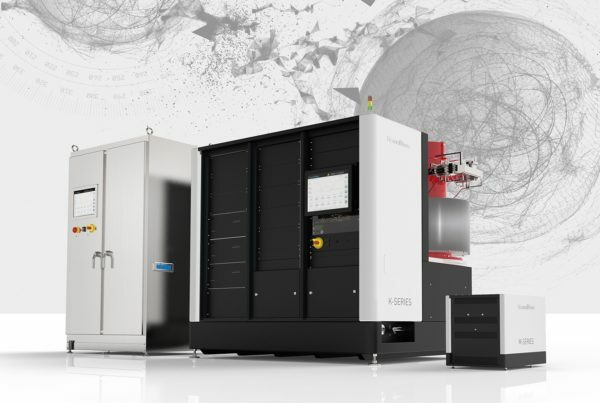 A lot has happened within fiber optics during the 40 years that Svante has been involved. As one of the pioneers, he has observed at close quarters the technology’s development and how the industry’s standards have changed. In 2013 Svante decided to wind down and help his daughter Amanda in her start-up enterprise, however, after just a year Ericsson sought his assistance within his core area of expertise. He says that there is still a major need for knowledge out in world. Messages that he has been proclaiming for 30 years are still relevant. “Many electricians and operators think that a fiber cable is like a copper cable and handle it in any old way. Fiber optic cables can withstand a lot, but require different handling and it is especially important not to get them dirty”, Svante says. A single-mode cable has fibers with a core of eight micrometers where the light is transmitted. “So it is understandable what damage a small amount of dirt can do if the material is not dealt with in the right way”, he says. On arriving at Ericsson in Kista in 1980, Svante Töyrä started to design active components – multi-mode was the first system at 35 megabits, Ericsson subsequently increased the speed to 565 megabits. “It was a real technological shift”, Svante remembers. The development unit was world-leading and was directly subordinate to the technical director at Ericsson. “It was incredibly high quality and we commenced a wonderful journey.” Over the years the group of colleagues has dispersed to other companies such as Proximion, Lumentis and Transmode Systems. Eventually he ended up working on the passive network with connectors and fiber. 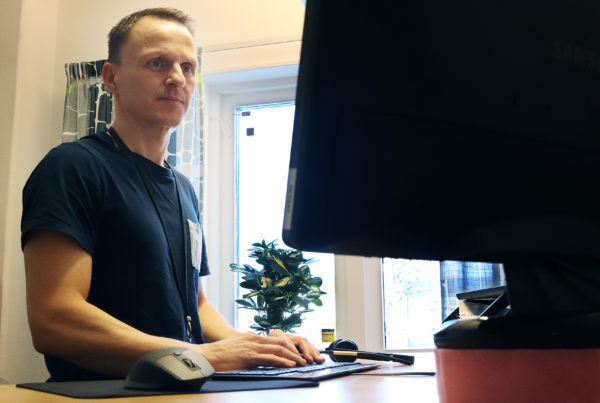 Svante’s many years of knowledge also led him to start working on standardisation issues within Svensk Elstandard (SEK) in 1995, and the following year he became an active member of the International Electrotechnical Commission (IEC). A distinguished position as it brings together experts within different areas to discuss requirements issues with the aim of setting global standards. “I remember a problem that arose with a Japanese connector. The problem would normally have been bandied back and forth without anyone assuming direct responsibility. But thanks to my ICE network, I knew who owned the patent and was able to contact them directly. IEC meets twice a year and Europe’s standardisation committee (CENELEC), where he is also involved, also has gatherings on two occasions per year. So there is nevertheless still quite a bit of travelling for Svante. “I have had the opportunity to visit many different parts of the world and countries, but I have never been to Russia. This autumn Russia has actually invited the IEC for the first time, it will be highly interesting to travel to Vladivostok”, Svante says. The IEC doesn’t simply encompass expertise within fiber optics but also extends over a breadth of sectors – everything from vacuum cleaners and electrical machines to radiation and high power lasers. Svante came into contact with Optronic and moved into their premises in connection with Optronic’s acquisition in 2010 of Note Skellefteå, which was a production unit for opto products on behalf of Ericsson. It was a way for Ericsson to retain quality and Optronic simultaneously conducted an offensive initiative within fiber optics. Optronic still manufactures several of the products for Ericsson today, and Svante Töyrä has assisted in the production. “Sweden’s expertise within fiber optics is still here. Every week I have a project meeting at Optronic with Ericsson and assist with standardisation and network issues. Today Ericsson also develops data centres and was early to take the approach that all communication internally as well as externally should take place with single-mode fiber as opposed to other data centres which are based on multi-mode fiber. Losses in an optic fiber do not generate heat as losses in copper cable do. It makes it more suitable to use in compact integrated systems such as data centres. The trend is to use optic signal transmission as far as possible, even on circuit boards, in order to minimise heat. “One important issue when you have contacts with 12 or 24 fibers is how the connector is cleaned. And how do I guarantee that 12 or 24 fibers will meet each other so that they are all in contact without to much power loss? These are central questions that have to be resolved. An unusual project that Svante Töyrä was involved in in 2000 was a contact field of 640 fibers with a very compact area. The client was CERN LHC, the particle generator in Cern and the world’s largest particle physics laboratory. Together with Diamond, Ericsson developed the contact field with cabling to the Atlas detector. Ericsson was also supplier of the cable to the CMS detector. “We would never have won the project if I had not succeeded in convincing Diamond to develop the contact field, which was not entirely simple, but I am glad that I succeeded in getting them on board because I knew that they had the knowledge”, Svante says. The 27 kilometre long tunnel in Cern is where the Higgs particle was discovered, winning the Nobel Prize in Physics in 2013. Svante Töyrä and former Ericsson colleague Bertil Arvidsson visited CERN as recently as November. “CERN wanted to meet us after all years. Among other things, it emerged that they purchased 30 per cent extra fiber optic cable because they were doubtful that our cables would last. Guess what percentage they needed to use? 1 per cent”, Svante says laughing. “It was a fantastic project and great to be involved in it. I have always felt that that is as close to the Nobel Prize as I am going to get. But my son Daniel and his colleagues, who research in Birmingham, have now discovered that they have verified Einstein’s gravitational theory. Hopefully I will be able to change my relationship with the Nobel Prize after that”, he says proudly.